Jean-Michel Basquiat's painting titled "Dustheads" sold for $48.8 million at a May 15 auction. A Jean-Michel Basquiat painting has set a new auction record for the graffiti artist at a sale of postwar and contemporary art in New York. 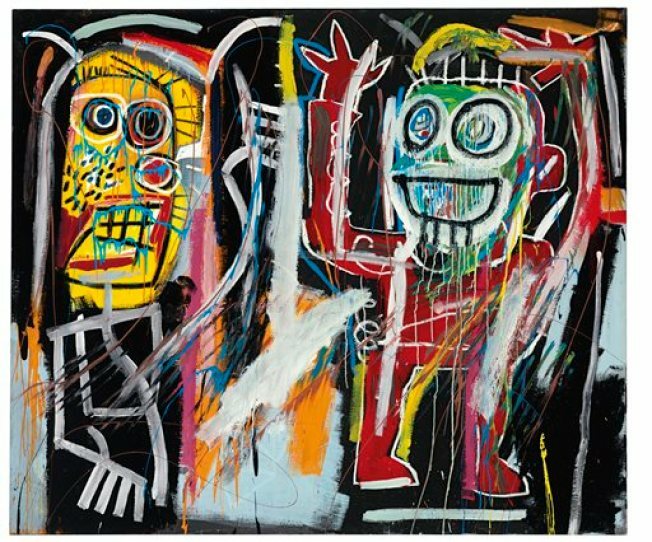 Christie's says "Dustheads" sold for $48.8 million on Wednesday. His "Untitled," a painting of a black fisherman, held the previous record when it sold for $26.4 million last November. Also breaking world auction prices for artists were works by Roy Lichtenstein and Jackson Pollock. Lichtenstein's "Woman with Flowered Hat" fetched $56 million. A classic example of pop art, the 1963 painting is based on Pablo Picasso's portrait of his lover Dora Maar. An important drip painting by Pollock, "Number 19," realized a record $58.3 million. Christie's says Wednesday's auction brought in $495 million, the highest total at any art auction.